The Cork Strike and Lockout. 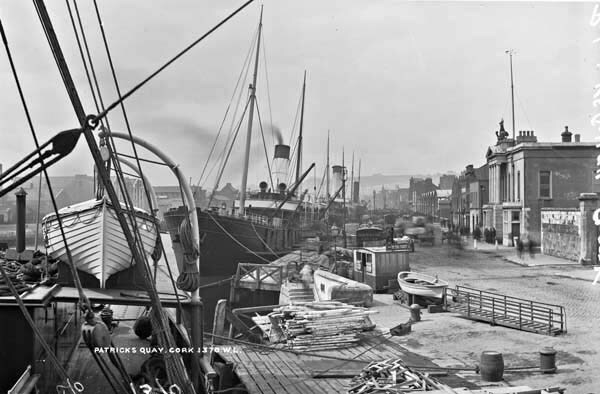 Cork Historian Luke Dineen will give an account of a little remembered dispute in Cork in 1909, which had an influence on the later Dublin Lockout of 1913. Luke will speak at the Firkin Crane on Wednesday 31st July at 2pm. On Thursday June 10th 1909 some coal porters affiliated to the ITGWU at Messrs Sutton walked off their jobs as a result of having to work alongside others from the British based union the Workers Union of Great Britain and Ireland. What started as inter union hostility led to a prolonged and vicious labour war across Cork City. According to the Cork Constitution some 500 policemen occupied Cork by 18th June to prevent the growing violence. By 22nd June thousands of workers were locked out by employers across the City. Workers marched through Cork on successive days from June 23-26. By 1st July 1909, some 6000 men were either on Strike or locked out and sacked from their jobs. 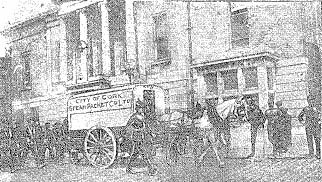 The Cork Employers’ Federation began to employ blacklegs or Workers Union men, which led to serious animosity. With strike pay to the unionised labour minimal and many workers receiving no income at all, and with workers protests being met with violence from the RIC, the strike, lockout fell apart in the early days of July 1909. “By the end of the lockout, Cork’s labour movement was in a shambolic state” according to Luke Dineen. These events in Cork influenced the formation in 1911 of the Dublin Employers Federation to come together, remain united and well organized under William Martin Murphy It demonstrated that “organised ruthlessness” against the ITGWU was the road to victory. In addition it realised that the skillful use of the media against the workers was essential. The ITGWU also learned that it needed major financial resources to support its members on a prolonged strike or lockout. During the Cork strike, James Fearon of the ITGWU organized a type of protective workers militia among the Cork workers to protect themselves from the attacks of the RIC and imported blacklegs. Luke Dineen states that “this was the first time that the Irish urban poor came together for the purpose of mutual self defence”. The emergence of the Irish Citizen Army later in Dublin may have owed its gestation to the earlier organised efforts to protect workers from the baton charges in Cork. Luke Dineen is a graduate of University College Cork. He recently completed a Master’s Degree in the Irish Revolution 1912-1923.